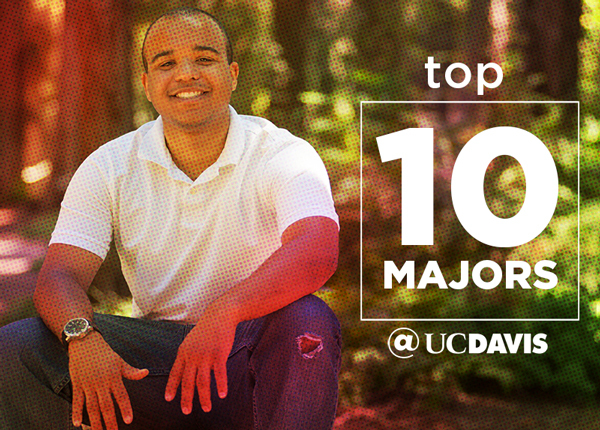 Here at UC Davis, thousands of students are employed in positions across campus in dozens of departments. For example, UC Davis Extension (the university’s continuing and professional education division) employs around 60 students during the school year and up to 90 over the summer. While many students take campus jobs to earn some income and experience, sometimes student assistant positions can open doors to career opportunities after graduation. Naomi Duran graduated from UC Davis in December 2017 with a degree in Biological Psychology. Naomi worked at UC Davis Extension her junior and senior years of college as an assistant for the Center for Program Innovation, where her job was primarily researching demand for certain skills and other continuing education programs to see how UC Davis Extension compares. Once she graduated, Naomi decided to take a break before applying to graduate school and (after expressing her interest in staying at UC Davis Extension) was offered a full-time position as a public education specialist. Now, Naomi splits her time between two programs. She is the program coordinator for the UC Davis Pre-College Program, a summer program for high school students looking for a taste of the “college experience”-and helps manage UC Davis Extension’s Paralegal Studies Program. “My main responsibilities include student management, communicating with instructors, and conducting research that will help expand our existing programs and provide the best education to our students,” she said. Sam Price graduated from UC Davis in June 2016 with a degree in Electrical Engineering. Sam started as an IT help desk assistant in June 2015 at UC Davis Extension, and as he was finishing his degree, a full-time computer resource specialist position became vacant, and he “leapt at the opportunity to apply.” After landing the job, Sam is now responsible for supporting all UC Davis Extension staff with any computer needs, managing the division’s computer and AV inventory, maintaining network equipment and writing code for UC Davis Extension’s reporting website. Sam a real talent and affinity for working with people. “The best part of the day is when I can go above and beyond to make somebody’s day better. The people here are the best part of working here,” he said. So, why not dip your toe in the water? There are thousands of student assistant positions on campus and at off-campus divisions like the UC Davis Health System and UC Davis Extension. In the very least, you’ll gain experience that will look good on your résumé. And, if you’re a bit lucky, you may be able to transition into a full-time career position once you graduate.